Trine Andersen is the owner and designer behind Ferm Living. She originally started a graphic studio, but the company developed fast and began designing wallpaper and things for the home. Today, Ferm Living is a well-established and loved design brand here in Denmark, but also in the rest of the world. 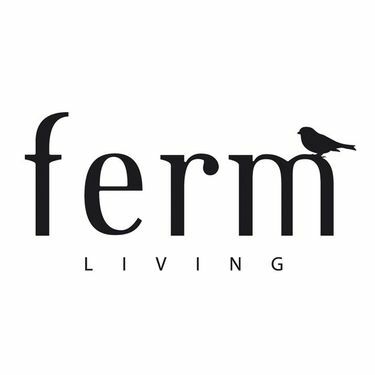 Ferm Living has EVERYTHING for the home, from things to the kitchen, the children's room or living room. The materials range from steel, wood, ceramics and porcelain etc. It also makes Ferm Living a brand with a wide target group, as there will always be something for everyone. Trine Andersen finds inspiration in everyday life. Her designs are modern and trendy but still have a timeless look. And some of the most important is the good quality and durability.